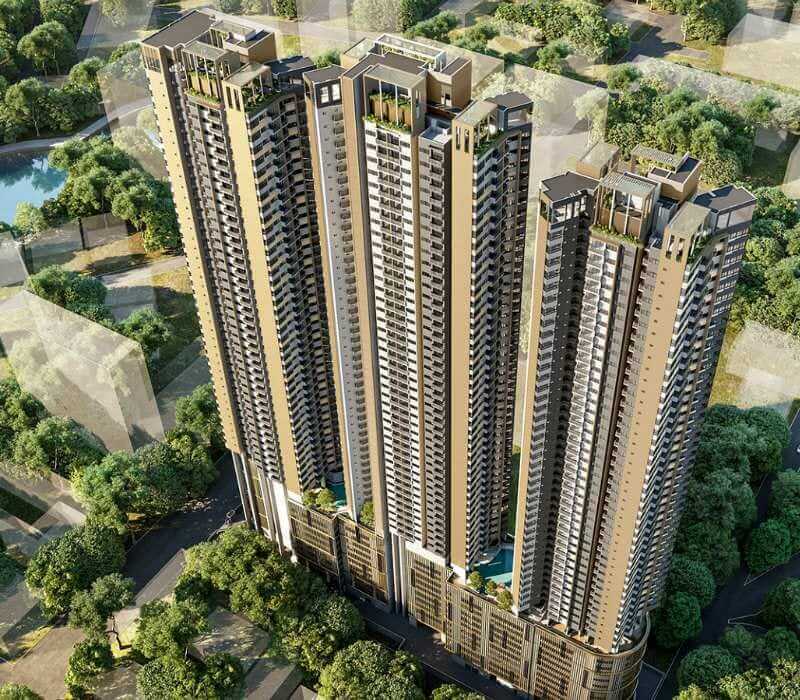 Moving rapidly ahead with a major upcoming real estate development in Sri Lanka, Braybrooke Residential Towers (Pvt) Ltd announced that it had appointed China State Construction Engineering Corporation Ltd (CSCEC) as the contractor for its groundbreaking residential project TRI-ZEN. The culmination of an ambitious joint venture between John Keells Holdings PLC and Indra Traders, the TRI-ZEN project aims to establish a vibrant metropolitan space in the heart of Colombo, providing the city’s professionals and entrepreneurs with stylish yet affordably priced apartments incorporating smart design principles to maximize space and comfort without compromising on aesthetic value. Senior management from the two organizations attended a special ceremony hosted at the TRI-ZEN sales galleryfor the signing of the contract between Braybrooke Residential Towers (Private) Limited and CSCEC. Located in the heart of the city at Union Place, the 53-storey development is set to redefine urban living in Sri Lanka. The 891 homes at TRI-ZEN will incorporate cutting edge design principles to deliver unmatched convenience and comfort, in addition to over an acre of community space, and state of the art smart home technology that will completely redefine urban living in Colombo. Common open spaces are a key design feature throughout the property; the perfect spaces for conversation, relaxation and contemplation. This project is designed for both solitude and company- stay in on a Sunday and enjoy the city’s drowsy reverie, or go out on a Friday night to one of the many cafes, bistros and restaurants situated only minutes away. “Given the ambitious scale of the project, we are very excited to announce today’s partnership with the CSCEC. With the TRI-ZEN project, our goal is to raise the standard of what is expected of a metropolitan residential development in Sri Lanka. It is therefore fitting that in CSCEC, we have secured a contractor with a proven global track record,” said Nayana Mawilmada, Sector Head of the Property Group at John Keells Holdings PLC . Established in 1952 CSCEC stands as the world’s single largest contractor with rich experience in super high-rise construction, general contracting management and design & build project management. The company was ranked 23 among Fortune Magazine’s Top 500 enterprises in the world for 2018. The highly anticipated ‘smart living spaces’ apartment complex -with units currently up for sale starting from Rs. 23 million- is scheduled for completion in 2023. Located at the heart of Union Place -the city’s most vibrant urban neighbourhood, residents of TRI-ZEN will have easy access to Colombo’s best schools, hospitals, restaurants, and retailers. Boasting high-tech, fully device-controlled apartments, TRI-ZEN is tipped to be the most sought-after property in town.Contact +94 702 294294 or www.trizen.lk for more information. TRI-ZEN represents the latest in a series of landmark residential projects by John Keells Properties, including its completed residential properties in Colombo-OnThree20 on Union Place, 7th Sense on Gregory’s Road, The Monarch and The Emperor at Crescat City and Cinnamon Life, JKH’s ongoing flagship mixed development project bordering the Beira Lake.